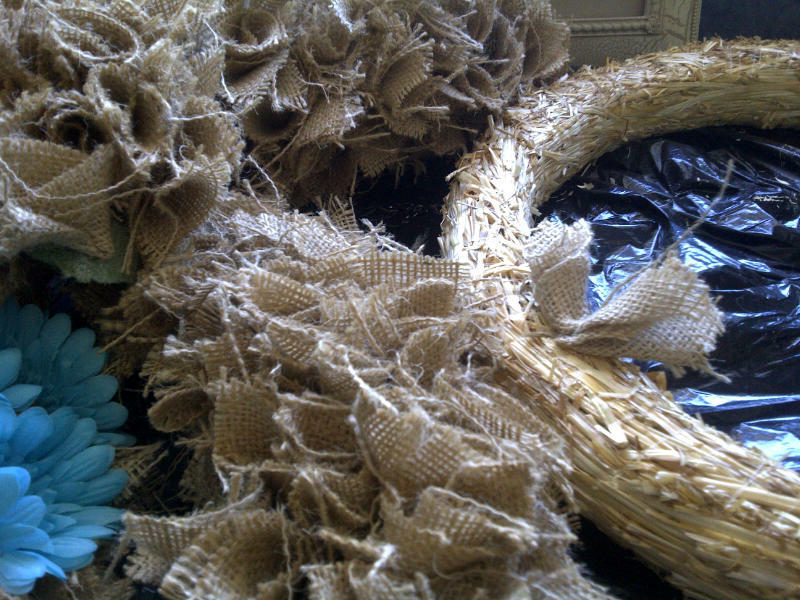 I was very pleased with myself when I made this burlap wreath last year. It took a long time to cut all the squares and pin it all together… but I have a new tip for you if you are interested in creating your own. a very nice bird decided to try to make a nest on it and when I arrived at the farm house it was on the floor in pieces. 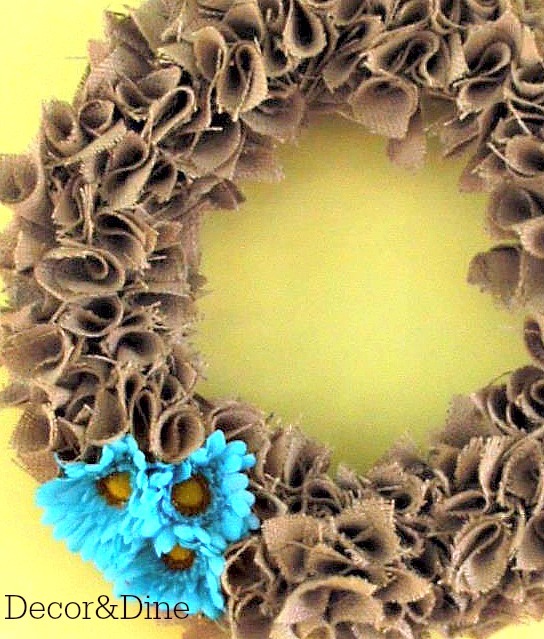 I decided to remake the wreath but this time used a straw wreath form for the base. The pins were actually much easier to insert and the wreath is stronger. I also decided to embellish with flowers that have clips, this way I can easily change them with the change in season. 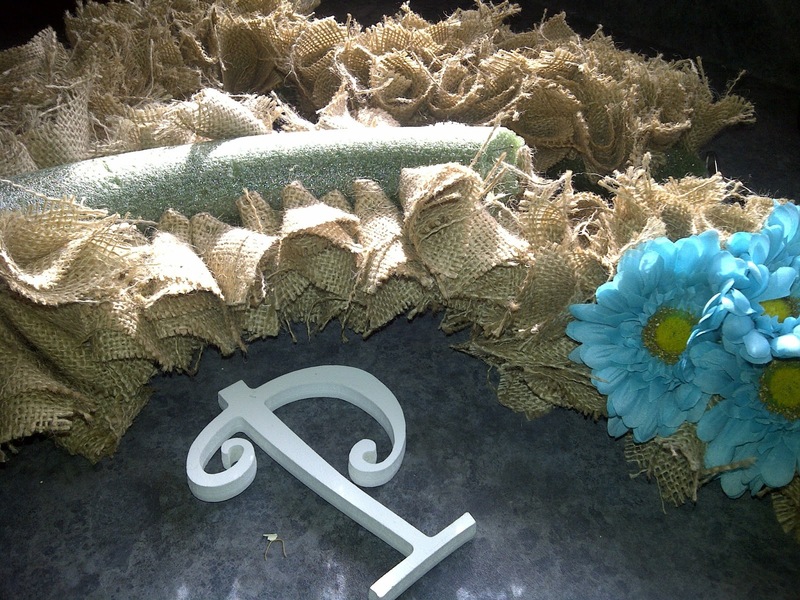 Check out Burlap wreath for full instructions but remember that using a straw form was easier. Thanks Selene. I really appreciate it!! 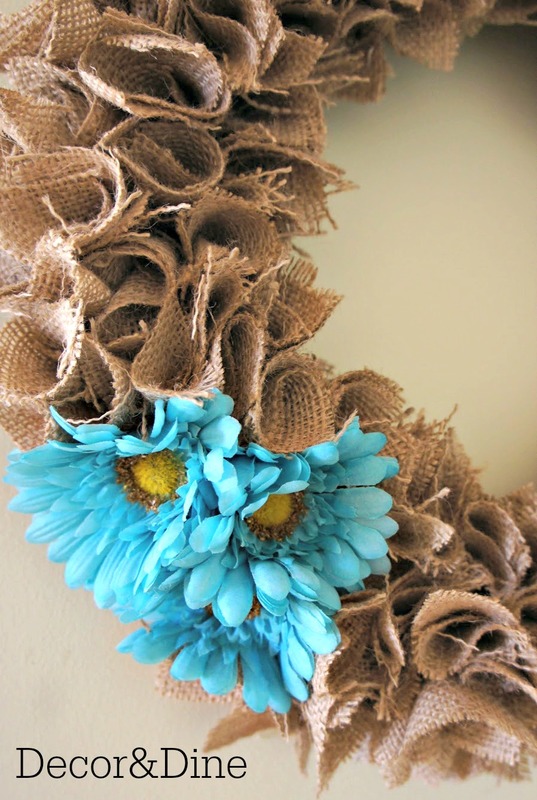 Really cool wreath! I love the texture the burlap adds! By the way, I’ve nominated you for the Liebster Award. You can check out my latest post “Another Liebster Award” for all the info.